LOOK Marketing was awarded their fourth Neptune Award by the Marine Marketers of America during the recent 2018 Miami International Boat Show. LOOK Marketing received the award for Best B2B Marketing for the excellent work performed for the Club BRP/Sea-Doo Dealer Test Ride Experience. 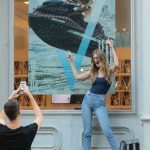 The experiential event resulted in the highest wholesale orders of Sea-Doo watercraft in over a decade. 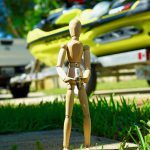 LOOK delivered the objective of the Sea-Doo Dealer Test Ride Experience. 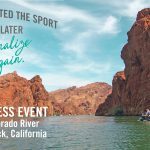 The event design and execution provided an engaging and exciting experience for global dealers that led to wholesale orders for 2018 Sea-Doo watercraft. The Experience – Dealers began the experience with a brief, expectation-setting video during a bus ride to the product trial site. Once on-site LOOK executed a brand message “Escape the Everyday” immersion with ambassador and product expert engagement. Dealers learned about the new models’ innovations and key messages with interactive product walk-arounds and brand immersive meals. 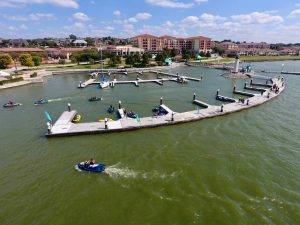 The event culminated with rides on the new watercraft models. 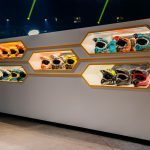 The experience format design showcased product strengths and capabilities. Nearly 900 dealers from around the globe test rode the new 2018 Sea-Doo models. The 900 dealers in attendance experienced over 2100 individual rides incident free over the two-day event. CLUB BRP – ESCAPE THE EVERYDAY TEST RIDES WITH LOOK MARKETING from LOOK Marketing on Vimeo. Award-winning agency passionate about making clients superstars. 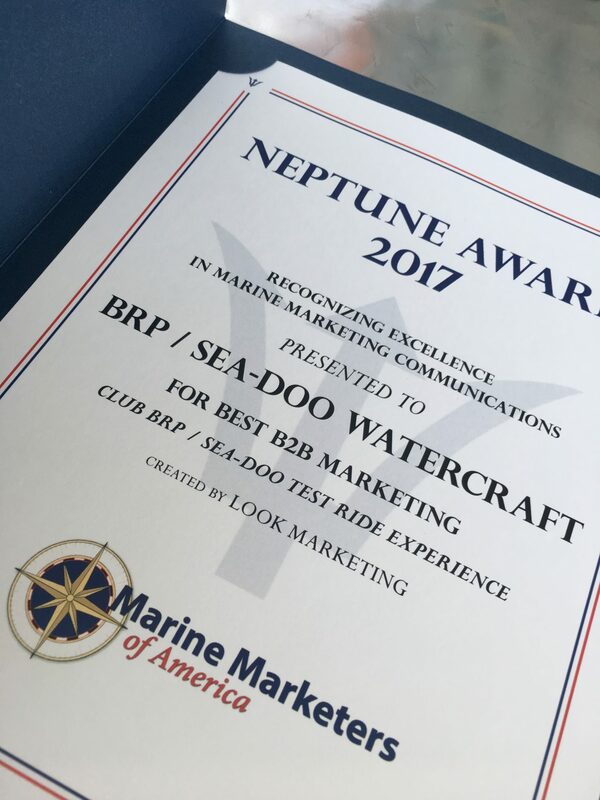 Marine Marketers of America Neptune award for business to business project: CLUB BRP - ESCAPE THE EVERYDAY TEST RIDES WITH LOOK MARKETING from LOOK Marketing.